A few days ago, I told you about the Benton Papaya-D Sun Cream here. 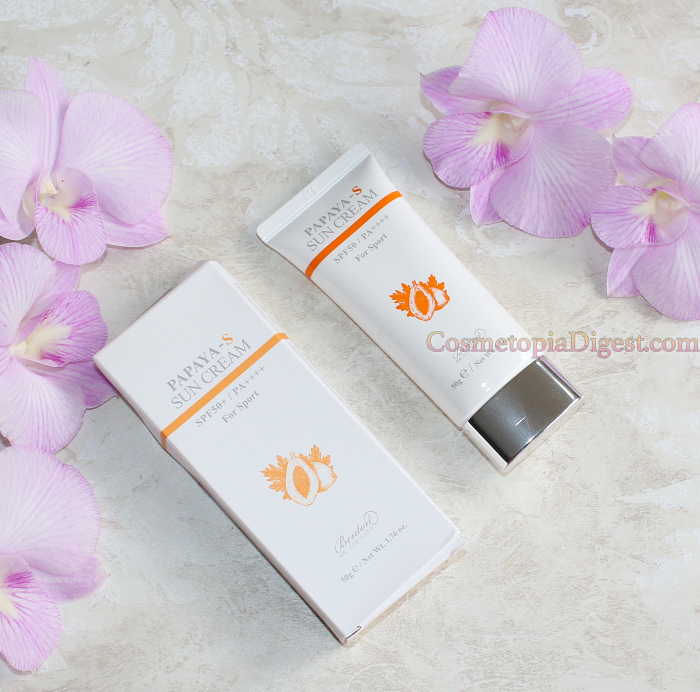 Today, I'm talking about the Papaya-S Sun Cream. The former was a Titanium-Dioxide and chemical sunscreen hybrid. This one contains TiDi, chem sunscreen filters, AND Zinc Oxide. "S" here stands for sport. This is the stronger, more thorough sunblock, which is also sweat-proof. It has the strongest sun protection factor available in Korea, at a combination of SPF50/PA ++++ (the D cream had SPF38/PA+++). The PA++++ indicates protection against the ageing UVA rays, while SPF protects from sunburn-causing UVB rays. The D cream is great if you have some mild or incidental sun exposure, such as while indoors through a window, or while in a car. The S cream is specifically intended for outdoor activities; to be worn during deliberate sun exposure. For those new to Benton, I have told you the brand's backstory here. Scroll down for the review of Benton's Papaya-S Sun Cream. The packaging of the S cream is very similar to the D cream, though this one has orange highlights on the external box and tube, while the D cream had green instead. Like the D suncream, the S cream also contains papaya - the former has 55% while the latter has 43% of papaya fruit water/extract (rich in polyphenols and minerals), as well as papaya seed oil and the enzyme papain. There's also niacinamide, sunflower seed oil, and shea butter in this cream. Let's talk about the sunscreen ingredients. As I said before, there's Titanium Dioxide and Zinc Oxide. The former protects from UVB and UVA2, while the latter provides protection from UVA1, UVA2, and UVB rays. I've seen discussions on social media that this sun cream contains 25% EACH of Ti-Di and Zinc Oxide, but I'm not a 100% sure. Now for the chemical filters. They are Diethylamino Hydroxybenzoyl Hexyl Benzoate, Ethylhexyl Methoxycinnamate, and Tinosorb S. The first protects against UVA2, the second from UVB, and the last one guards you from all three rays. The S cream is runnier than the thicker D cream. 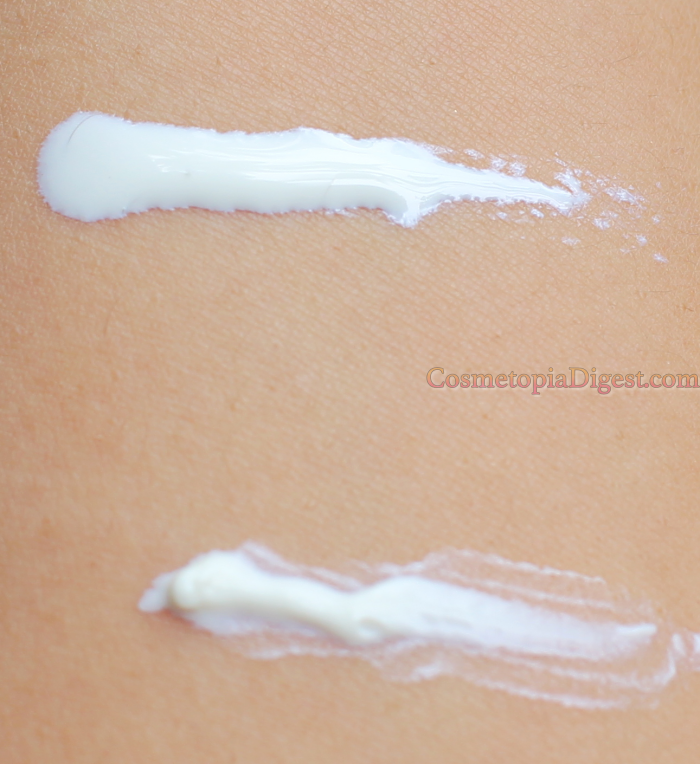 It leaves just a wee bit of a white cast on me, while the D cream is has a more dewy finish. 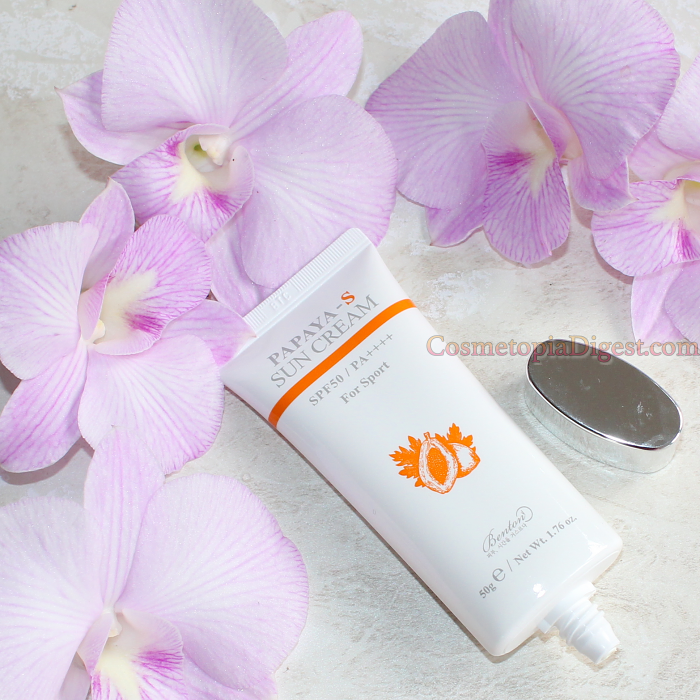 This makes the S cream less makeup-friendly, when compared to the D cream. But then we must remember that this is formulated specifically for sport and outdoor activities; to protect from deliberate sun worship. And maybe it looks even less obvious on a paler person? The D cream, on the other hand, is more of a sunscreen that you wear to protect yourself from incidental exposure to the sun. If you are looking for maximum sun protection that is suitable for outdoor activities or sport, then the Benton Papaya-S Sun Cream is for you. 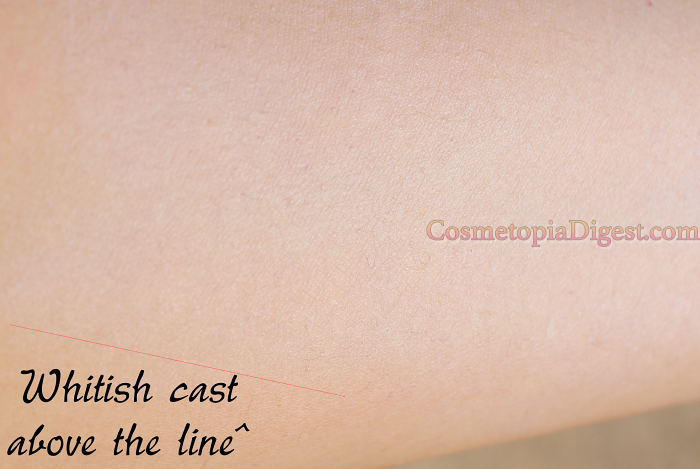 Remember, it leaves a bit of a whitish cast, so you might want to leave it for the beach, and not for full-makeup days, though I daresay it blends out better on paler skintones. 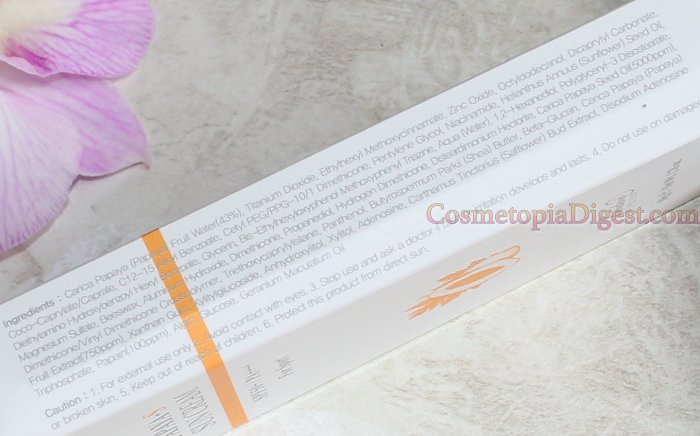 This is a hybrid sunscreen, containing both physical and chemical filters to protect from UVA1, UVA2, and UVB rays. I do wish more sunscreens would be as comprehensive as this one - a number of formulations protect against the burning UVB rays alone, and we believe we're well protected from the ageing UVA rays as well when we use them. The Benton Papaya-S Sun Cream is available here for $18.62 - they ship worldwide. W2Beauty also stocks it here (worldwide delivery available).